The 2018 LPGA Girls Golf Classic Flight B Leaderboard will be updated below. The 2018 LPGA Girls Golf Classic Flight A Leaderboard will be updated below. Due to the storm this week, Golf U will be open this weekend for rentals. 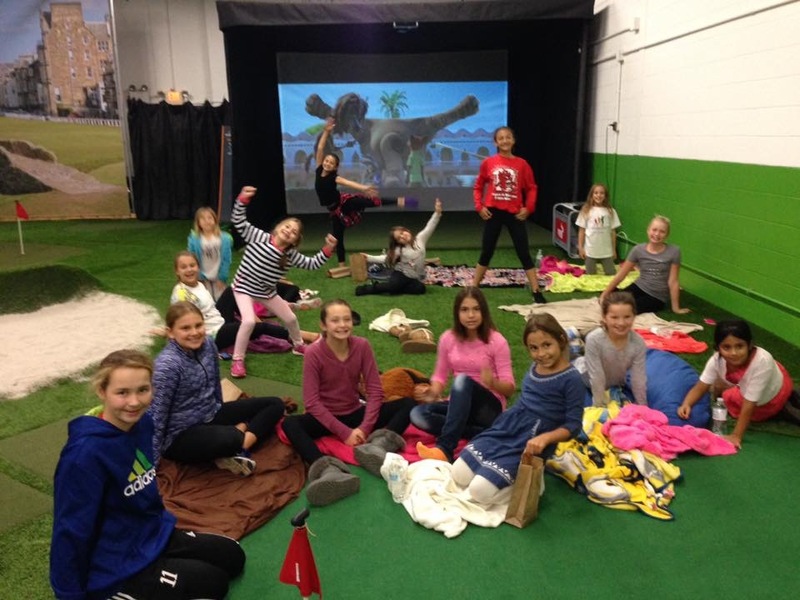 We have over 200 kids in our winter training program so space is VERY limited. Please forward to kids/parents that may want to get in some swings. If your team wants to block off times as a group please let me know ASAP. Simulators can be rented by the hour. $40 per hour. You can bring up to 4 golfers per simulator. Team practices are $150 and the facility will be closed to your team. No spectators are allowed in the golf room. Golfers only. Open for rentals: Saturday afternoon starting at 2PM, Sunday starting at 10AM, next week at very limited times. Email Brad@golfU.com for available slots. Times will not be held until payments are made at the link below. You cannot pay the day of your rental. No cancellations or refunds once registered. I am sending this to the local coaches as well as my entire Junior Tour and Golf U parents so please register ASAP at the link below. Click here to visit GolfU.com and register. * I will let the girls vote this week for movie choice. I am thinking Hotel Transylvania 1 or 2. * Event is FREE…Bring your friends!! * If you haven’t been to any of our social events feel free to join us. * High School girls looking for volunteer hours please let me know if you want to help. Early registration is underway for our biggest training program. 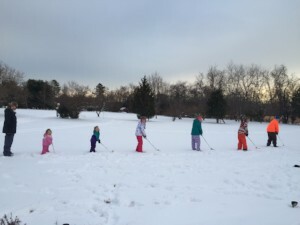 I tell everyone all year that winter is easily the most important GolfU program. 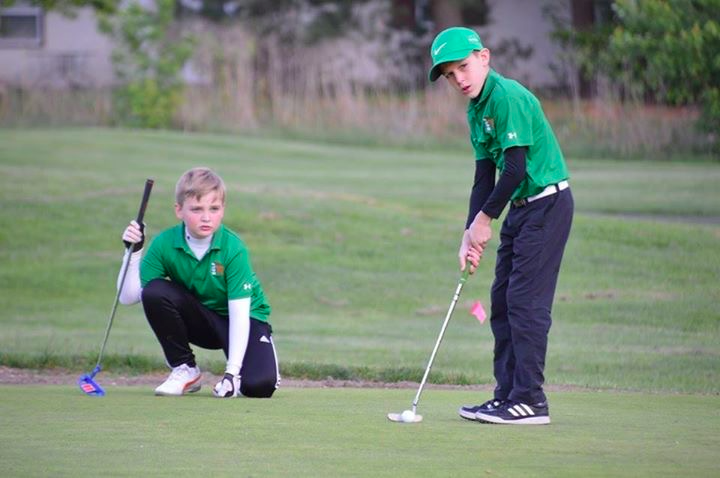 The kids start Spring way ahead of the others due to the chipping, pitching, putting, sand and full swing practice all winter long. Early registration ends November 1. The price will be going up $100 at that time. Another good reason to pick your day/time now! I will be adding detailed leveling this year. Your kids will be placed in a level this winter. It will help you identify the skills needed to improve. Sessions are 1.5 hours during winter. I try to allow time each week to play holes at the end. It’s fun but also important to let them work on their swings while playing holes. For the first time GolfU will be open during our downtime for private practice rentals. This will be open initially only to winter program participants. Sundays and some evenings. More details soon on the pricing and structure of additional practice passes. I am not doing payment plans this year as we had some issues last year. If you need to pay a deposit to hold a spot please contact me. All final payments will be due by January 1 however. Registration is now open for our Fall Clinics and League. We have had our biggest Spring and Summer ever and we expect fall to be even bigger!! We expect many programs to sell out so PLEASE register early. This is our biggest League of the year and this year we can only hold 30 spots per age group. Elite Division: 30 boys and 30 girls, Developmental Division: 30 boys and 30 girls. Matches will be Sunday afternoons. 9/24, 10/1, 10/8, 10/15, 10/29. Team practices at Golf U is TBD. Payments can be made online. If choosing the Pay at the Event option then a check must be received at SJJT PO Box 1081 Medford NJ 08055 within 7 days of registration. If payment is not completed within 7 days, your registration will be deleted. Fall League registration – $279. Registration after 8/15 – $299. Team size – 6 players. If forming your own team, all players must be registered before the team is registered. Please email team members ASAP. 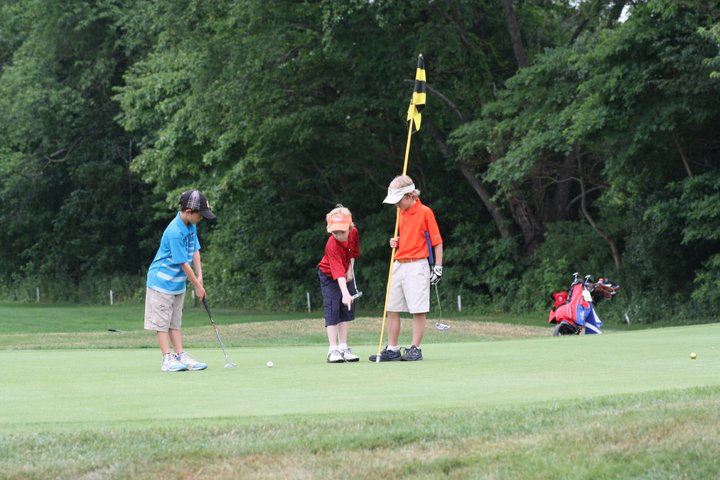 The Drive-Chip-Putt qualifier was held Tuesday at Trump National GC Philadelphia. Over 125 kids from NJ, PA and DE competed with hopes of advancing to the next round. NINE Golf U kids qualified and will join some that already qualified previously. How good were our Golf U kids at this event? 9 qualifiers out of 24 total spots. At least one qualifier in 6 of the 8 age groups. 3 first place overall finishers out of 8 age groups. 1-2 finish in two different age groups. Congrats to all of our kids. We expect even more qualifiers over the next few weeks. We will be holding a Spring tournament this Sunday, 6/4 at Rancocas GC. Tee times will be available prior to each event on our Facebook group, Kids Golf SJ and the tee time tab of the SJJT website. I will not be emailing these weekly. You must check these locations. Please finalize your summer clinic plans. We are only a few weeks from the start of these programs and several sessions are filling. We are holding a Spring individual tournament next week at Rancocas. All divisions will play 9 holes for this event only. Tee times will begin approx 3:00PM+. Our full summer schedule consists of 10-12 events at various locations. 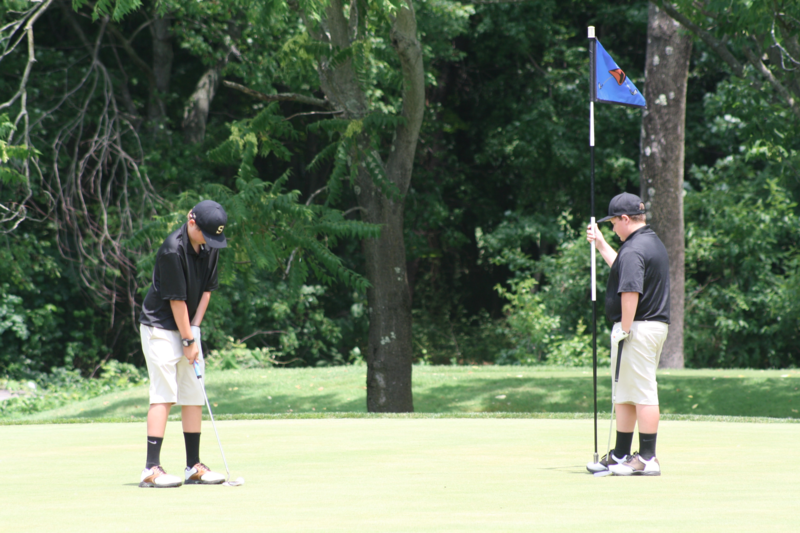 Tournaments are a great way to have fun playing different courses and learning to score. Several sessions are filling up. Hopefully you have figured out what is best for your golfer and will register soon. I don’t want anyone closed out this summer. *Rancocas events will be on select Tuesday nights. Nearly 300 kids this week!! This has been the biggest week ever for Golf U and the SJ Junior Tour. Despite the cold and rain, kids ages 3-18 participated in our clinics, league and tournaments. 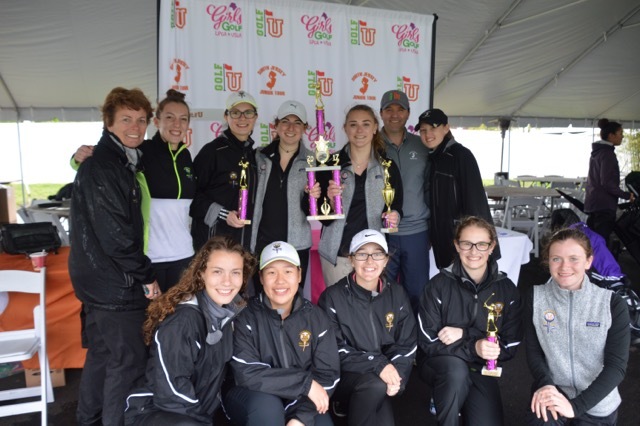 Our LPGA Girls golf tournament featured 90 high school girls from 23 different schools. It was awesome to see so many of the girls in our program at the top of the leaderboard. Congratulations girls!! Registration is now live for our individual tournaments. We have two spring events and a full schedule this summer. Our first event is next Sunday, May 7 at Rancocas. Please register ASAP. The tournaments are fun but also important for the kids to learn to score and improve. 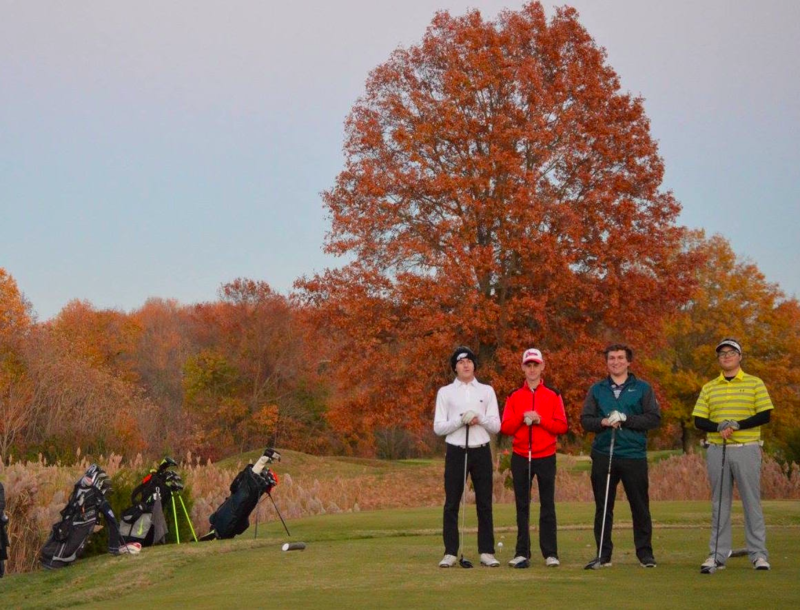 Membership to the tournaments was included with our Winter training program. If you participated in the winter program you do not need to pay the Membership fee. All other players must register as members. You can then choose what events you would like to play. Word is out on how much better learning at Golf U is than at a local course. Over 50 kids are participating in Session 1. We can get so much accomplished because of the layout of Golf U.